As Jeff Hanson traveled the globe, engineering solutions to environmental problems from South Africa to Brazil, one problem back home in Minnesota remained unsolved: protecting wild rice from mining pollution on Minnesota's Iron Range. "Somebody has got to be working on a solution to that," Hanson recalled thinking when he came back to his native Babbitt, Minn., in 2004. Within a few years, that somebody became him. He started a company focused on engineering a solution to the problem closest to home. He enlisted researchers at the University of Minnesota-Duluth. His nephew in Babbitt checked on experiments in the middle of winter. He reconnected with colleagues with ties to Minnesota he'd met in Brazil decades ago, in hopes that they'd help him pursue the research and get it in front of state policymakers. After more than a decade of working through design, lab tests, field tests and data crunching, Hanson says a solution he's ready to talk about is in sight. 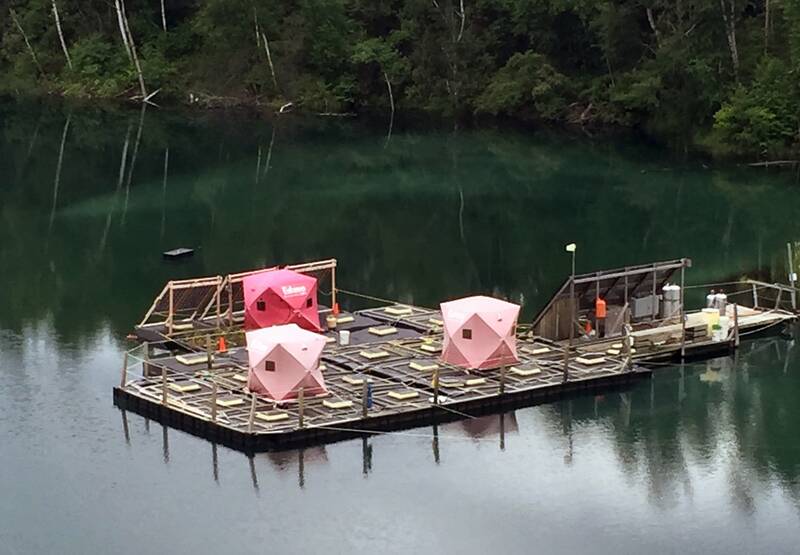 Hanson and his colleagues have created floating bioreactors that take in lake water that is high in sulfate. The bioreactors — enclosed, underwater modules containing fibers and bacteria — convert the sulfate to sulfide, and spit out the toxic sludge. The water that's returned to the lake meets Minnesota's strict sulfate standard. The operating costs of those floating bogs would be a tenth of what's required for expensive reverse osmosis — the water treatment system most regulators, activists and politicians have been eyeing as the solution to protect wild rice. Hanson's journey began a dozen years ago. He'd spent decades abroad, but found himself back at the cabin on Birch Lake where he was raised, thrust into the middle of a bitter struggle over the future of mining in Minnesota. "Everybody was talking about either protecting the environment and don't do mining, or do mining and screw the environment," Hanson said last week. The debate then — and now — centered around whether Minnesota should make way for copper-nickel mining from sulfide ores. High sulfate levels detected in waters connected to taconite mines were giving the industry a black eye. Sulfate — a byproduct of taconite mining and some city wastewater systems — can harm wild rice when, under certain conditions, it turns into sulfide, which is toxic to the grain and causes a host of other problems for the ecosystem. In 1973, Minnesota adopted a rule limiting sulfate levels in waterways where wild rice was growing: Ten milligrams of sulfate per liter of water. It applied to cities, mining companies and other industries. But in the decades since this "sulfate standard" was established, it has rarely — if ever — been enforced. But lately, the rule has come under fire. Native American tribes, environmentalists and some lawmakers are seeking legitimate enforcement of the existing rule, while mining companies and other lawmakers argue the standard should be abandoned completely, saying it's unnecessary and prohibitively expensive. It's a saga that has resulted in multiple lawsuits, divided the DFL party and left tribes feeling as though they haven't been meaningfully consulted on an issue at the heart of their culture and identity. "You can argue until you're blue in the face," Hanson said. "But that doesn't really advance the protection of the environment. We have to have solutions to what we're arguing about." The work of developing this new solution has been under wraps for years as Hanson and his colleagues refined their technique and pursued patents. 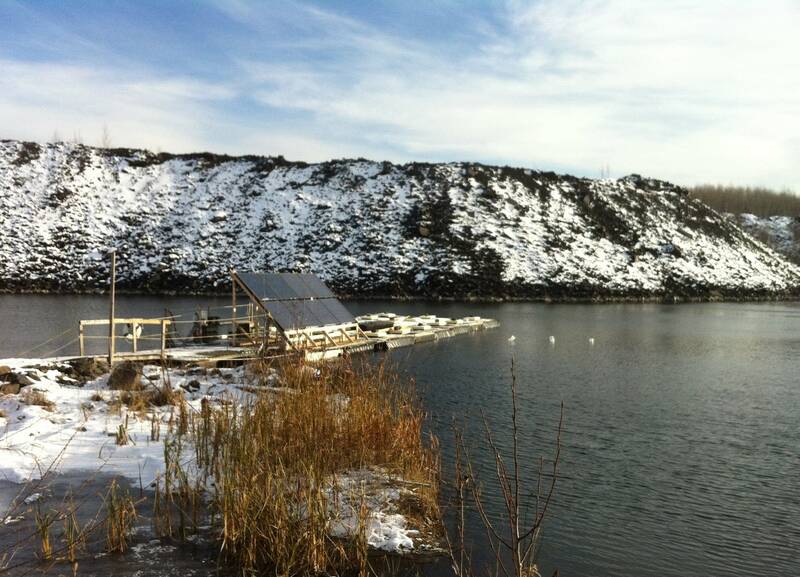 In a report on the process published last July, UMD researchers showed the floating modules have promise. Yet Hanson and the others who contributed to the project, which received funding from both the state and the mining industry, still don't know whether the technology will ever be adopted. Minnesota's sulfate standard is in limbo, as GOP and some DFL lawmakers are pushing this legislative session to discard it entirely, and Gov. Mark Dayton wants to address its shortcomings in other ways. • Last week: Will the wild rice saga end amicably before Legislature adjourns? Without any standard, it would be hard to get anyone to pay for water treatment systems like Hanson's. And Hanson said a lack of a standard would be "disastrous" to wild rice. Instead, he hopes the state will pursue affordable solutions — like the one he's developed. "It doesn't need to bankrupt the mines," he said. Hanson feels for them, too: "My first job out of high school was working in the mines as a mechanic's assistant. It's what you do there. If it hadn't been for the mines, we would have never moved there," he said. And, he said, if the mines were all to shut down tomorrow, the state of Minnesota would likely have to foot the bill for cleaning up sulfate discharge occurring upstream from the lakes and rivers where Native American tribes have been harvesting wild rice for centuries. Minnesota's tribes have joined environmentalists in asking the state to start enforcing the existing sulfate limit in waters where wild rice grows. "There are ways to make this happen, but there is no political will to make it happen," Nancy Schuldt, water projects coordinator for the Fond du Lac Band of Lake Superior Chippewa, said of the problem. Schuldt said she's heard about Hanson's work, and is hopeful the researchers can prove its scalability. "We would celebrate that," she said. One of the main challenges in cleaning up mining waters, Schuldt said, is being able to process huge volumes of water at a time: She said U.S. Steel's Minntac mine in Mountain Iron, Minn., for example, discharges as much water in a day as a large city. But it's also a challenge, she said, to put solutions in place when there's an active effort to eliminate the state's sulfate regulations. "If the treatment cost were to go down, I still don't think you'd see anybody beating down the doors to say, 'Please, give me a sulfate limit so that I have to install control technology,'" Schuldt said. But Tony Kwilas, who represents the Minnesota Chamber of Commerce on environmental issues at the Capitol, said cities and businesses are open to affordable alternatives to the status quo — "as long as it works on a large industrial or municipal scale." Few of those embedded in the debate at the Capitol — including the Minnesota Pollution Control Agency — know many details about Hanson's floating bog project. But MPCA spokesperson Dave Verhasselt said there's always hope that technology can solve environmental problems. "There's simple examples, like toilets that manage to flush with one or one and a half gallons versus toilets that used to flush with two, three, four gallons," Verhasselt said. "In this case, it would just be, can it work, does it do what it says it does, would companies and municipalities that discharge wastewater want to buy it and use it?" 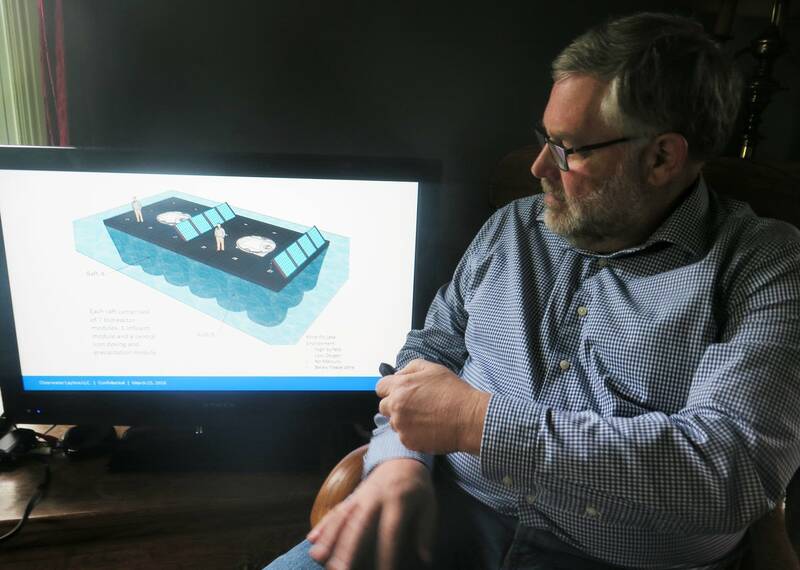 Hanson said he remains optimistic that his floating bog solution might be soon be piloted at one of Minnesota's mines, to prove the technology could work on such a large scale. "What really carries you through on this is the passion and the feeling that I think this is important," he said. Hanson suspects lots of Minnesotans share that view — but most have been lumped into pro- and anti-mining narratives, he said. That's never been more clear than at a public hearing he attended several years ago over the PolyMet mining company's proposal to open a copper-nickel mine on the Iron Range. Hanson said he walked into the hearing and was immediately asked which side he was on, with interest groups offering up brightly colored T-shirts and buttons. "Neutral?" he replied, garnering strange looks. "Nobody's neutral!" one organizer told him. "If people can realize there are more economical solutions that can be put in — that can change that, and can tear down that wall a little bit between the two sides," Hanson said.